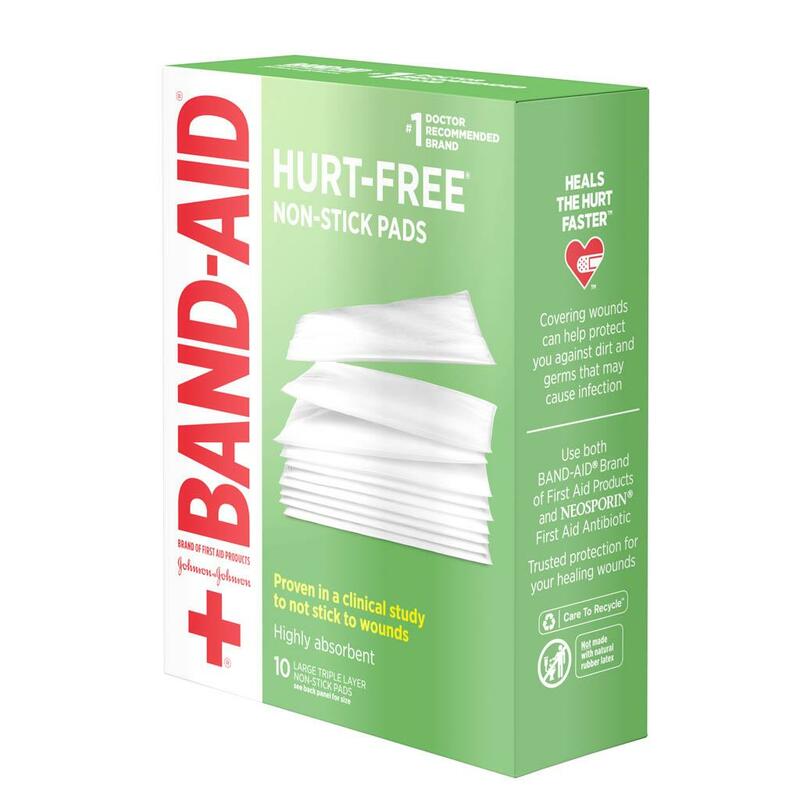 BAND-AID® Brand HURT-FREE® Non-stick Pads help protect minor cuts, scrapes, and burns. 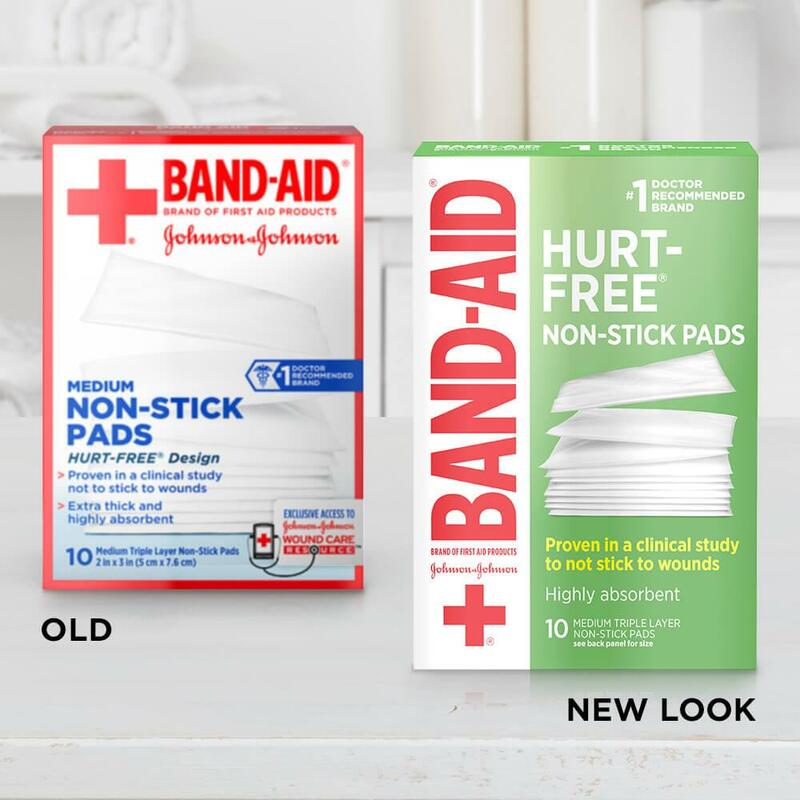 These BAND-AID® Brand HURT-FREE® Non-stick Pads are proven in a clinical study not to stick to wounds. 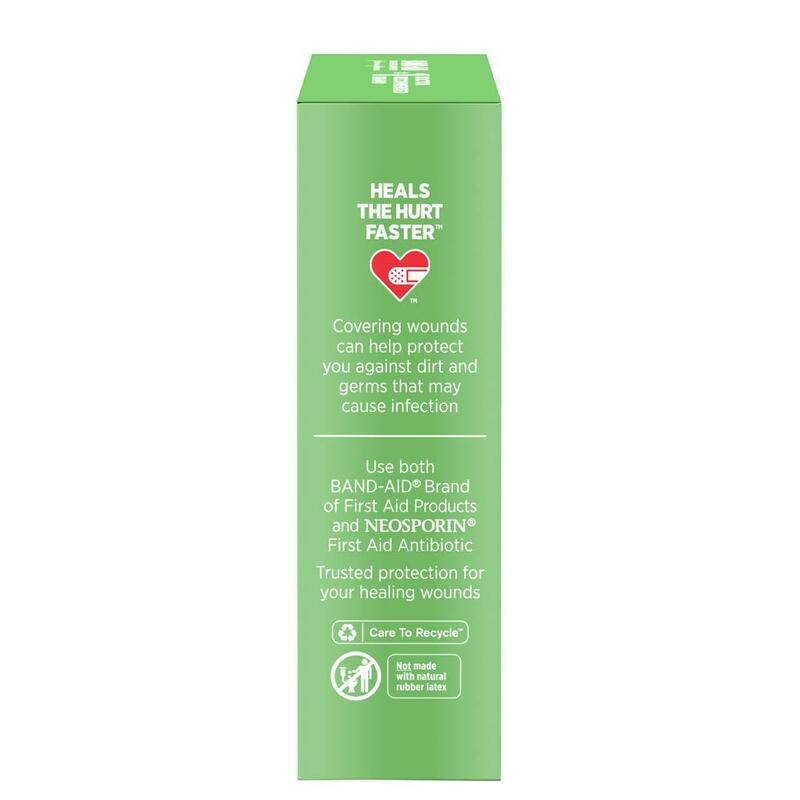 Additionally, they instantly absorb fluid and pull it away from wounds. 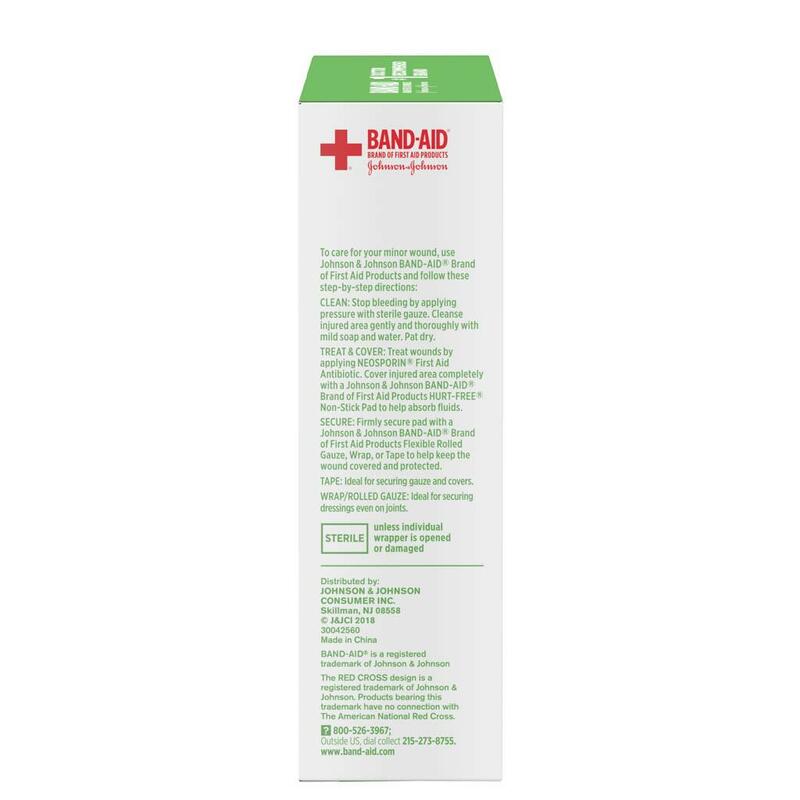 These highly-absorbent bandage pads, from the number-one doctor recommended first aid brand, are ideal for minor wounds. 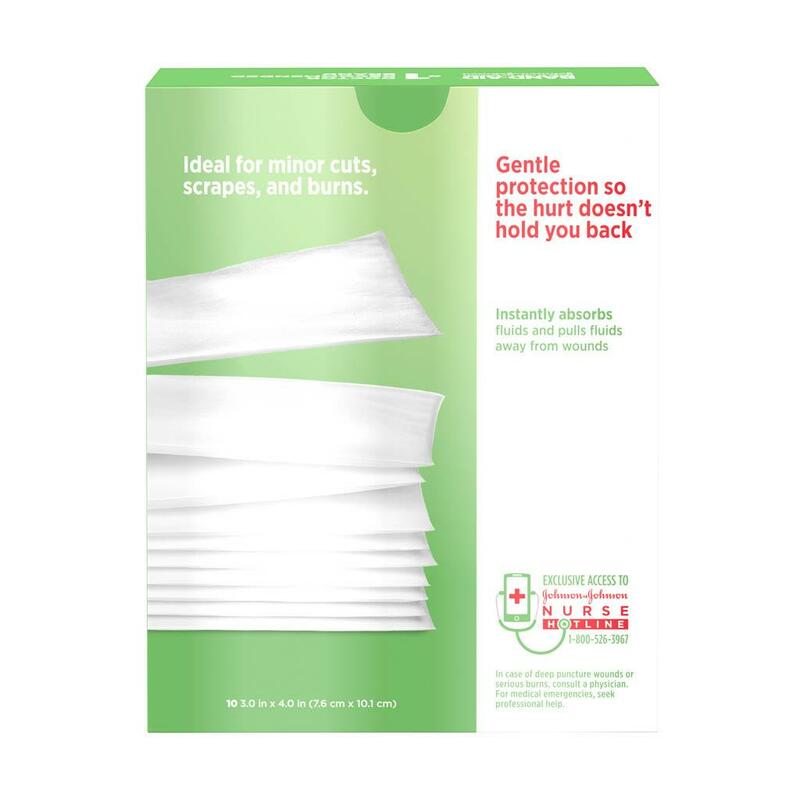 This package includes 10 large sized 3-inch by 4-inch non-stick wound care pads.